Melbourne’s tram network is the largest in the world and arguably the most iconic feature of a city known for its culture, food and wine, events and multiculturalism. Trams are the lifeblood of Melbourne, and the tram network provides an essential service to the residents and visitors of the world’s most liveable city. Many cities in Australia (including Sydney) and around the world removed their tram networks in the 1950s and 1960s as the rapid rise of affordable, private cars seemed to signal the death knell of trams. Melbourne’s planners resisted this push and instead invested in the network to expand it, including in recent times as the CBD has moved westwards to the Docklands. More than 200 cities are now recreating, building or planning tram networks. If the Melbourne network were to be rebuilt today, it would cost more than $20 billion and take several decades to complete. In this context, the Melbourne tram network should be seen as an irreplaceable public asset to be embraced and developed further. Keolis Downer, as current custodian of the network, is an organisation built on the values of zero harm, thinking like a passenger, continuous improvement and respect for people. These values are supplemented by the principles of trust and fairness that guide all of our decisions. 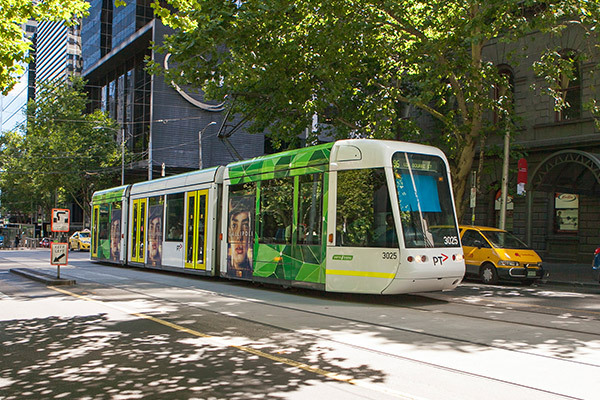 Melbourne’s tram network is the biggest and oldest in the world, and Melbourne trams are arguably the most iconic feature of a city known for its culture, food and wine, events and multiculturalism. 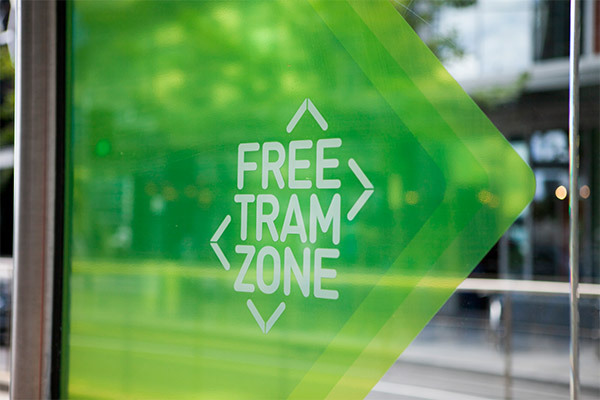 Melbourne has more than 1,750 tram stops and carries more than 200 million passengers every year across its 450-strong fleet of trams. It can be useful to focus on just one of the city’s tram stops to see the importance of the network. The story of the Federation Square stop shows the vital role played by the tram network in keeping Melbourne moving and connected. The Federation Square stop is the busiest in Melbourne, with a tram passing almost every minute and catering for 22,000 passengers each day. 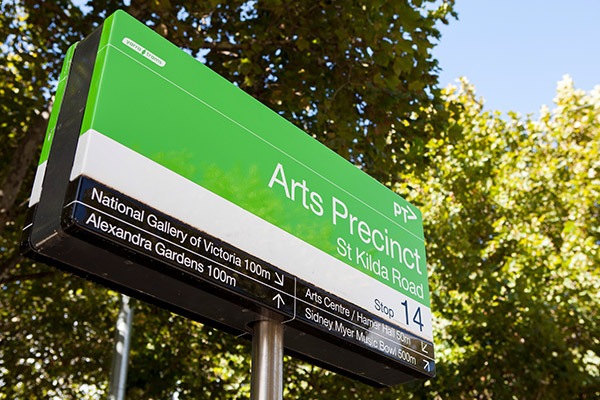 Passengers using the stop are connecting to the rail network at Flinders Square, numerous activities along the Yarra River which runs below, and the city’s educational institutions. They also make up some of the more than 439,000 people that work in the CBD. These improvements are due to the introduction of the new E-Class trams, which are modern, safe and accessible. Also important, are changes to traffic priority, stop design and investment in information for passengers both at stops and via digital and web-enabled devices. These ideas will help to future-proof the network, with provision made today for the longer trams of tomorrow. The success of Route 96 will play a key role in creating the future tram network. Thinking like a passenger is central to Keolis Downer’s approach. 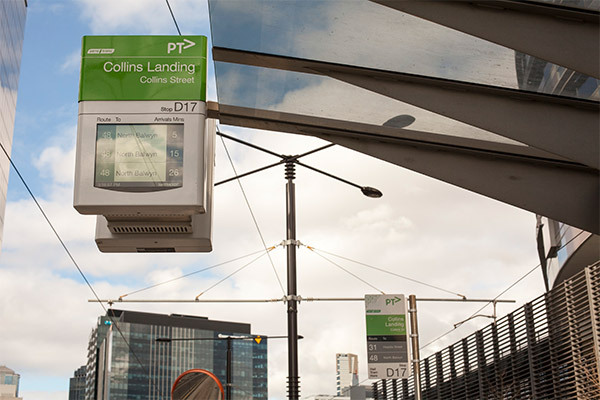 It guides Yarra Trams to make the changes necessary to improving passenger outcomes, whether they pertain to information, personal security, service design, reliability and the other factors that determine overall customer satisfaction. Improving business processes and delivering key passenger information projects to provide information in a timely manner to customers so they can make the most informed decisions about their travel. Monitoring and reviewing the strategy to improve both personal and asset security. Implementing new customer service standards consistent with our accreditation with the Customer Service Institute of Australia. Tackling the other drivers of satisfaction such as design, space, and comfort and ticketing. Customer satisfaction is already at record level (75%), but we aim to achieve a rate of over 80% as these projects and others deliver improvements that are noticed and appreciated by customers. We are pleased to note that the number of tram-to-vehicle collisions has fallen by 25% in three years due to community awareness that was driven by the successful ‘Rhino’ safety campaign, better engineering solutions, and more newer trams with better stopping ability. We have seen encouraging results in relation to employee safety after introducing better systems and processes to avoid injuries and ensure a timely return to work. The total recordable injury frequency rate (TRIFR) for Yarra Trams has improved by 40% over the past five years. Collecting, analysing and sharing information is paramount at Yarra Trams. In recent years, Yarra Trams has invested in tools and processes to analyse vast amounts of information about the network. The data is used to ensure accountability for plans and outcomes; to make better decisions; and to improve customer outcomes, safety and network efficiency. Accountabilities for actions and targets are each registered against one of the senior executives. If data shows that an indicator is heading in the wrong direction, the relevant executive sees to the creation of a cure plan. Because most tasks require the support of multiple teams, this also puts a high level of cross-business accountability on display. The CEO uses the data to manage his direct reports, and it cascades throughout the business. The Board applies a similar philosophy to the entire Keolis Downer team. This approach is producing results, with improvements seen in customer satisfaction, business efficiency, revenue protection and engagement across the business. Transparency is also a key factor in making this new approach effective. Everyone in the business has access to the visualisation room and the events calendar. This visualisation approach, pioneered in Melbourne, is also being replicated in Keolis subsidiaries overseas. Ensuring that customers of the network pay their fare is a key focus. The introduction of myki coincided with a spike in fare evasion, but now that the system is functioning well, travellers have adapted their behaviour, and revenue protection activities have become more effective. As a result, the level of evasion has dropped to a record low of 4.8%. Two overriding principles guide the behaviour and decisions of Yarra Tram’s leaders: trust and fairness. These principles underpin decisions relating to safety, customer outcomes and stakeholder engagement. Keolis Downer is committed to developing a workforce that reflects the community within which we operate. This means embracing the thriving multiculturalism of Australia’s most cosmopolitan city and promoting gender diversity and support for people with a disability. Yarra Trams’ Driven Women program has helped to support greater levels of participation by women in our workforce. Yarra Trams secured an intake of 100% female drivers for the first time in 2015.